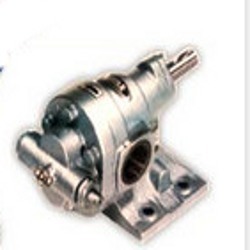 Our clients can avail from us a range of highly efficient premium quality S S Gear Pumps which are manufactured and fabricated using fine grade raw material and as per international quality standards. Backed by a vast industry experience, we hold immense expertise in offering a wide range of Gearboxes, Gear Motor, Electric Motors and Pump. Apart from this, we also provide Coupling and Compressors to our esteemed clients. Procured from reliable market vendors, our range of products finds wide application in agricultural, sugar, engineering and many other industries. We are committed to deliver products of unmatched quality to gain utmost client satisfaction. Hence, our products are tested on the basis of certain well-defined parameters to ensure that these are high on performance and require low maintenance. Owing to the better quality products, we have earned immense client appreciation. In these years, we have expanded our market base and have acquired many prestigious clients belonging to different sectors. Our ethical business practices and ability to deliver consignments within the scheduled date have increased our market reputation by manifolds.